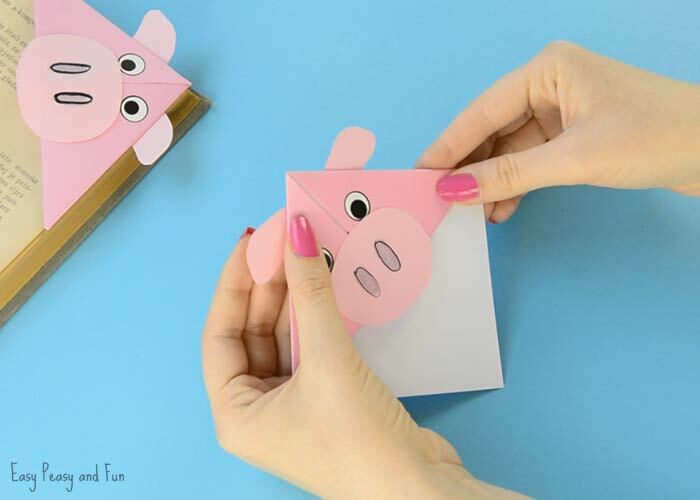 We have another farm animal craft idea to share with you today! 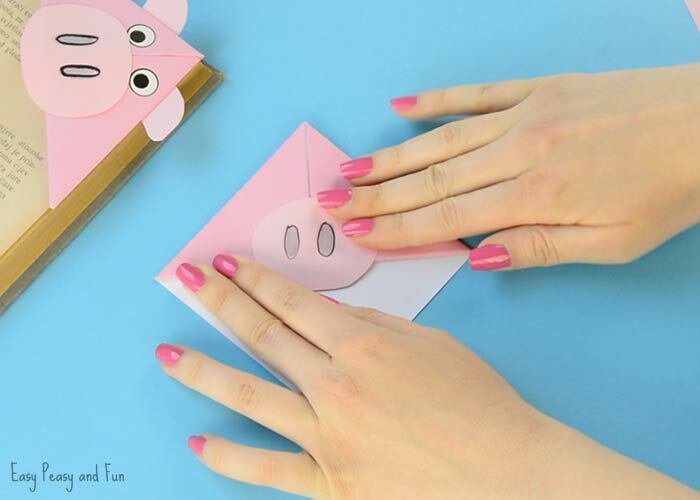 We are making super fun looking pig corner bookmarks. 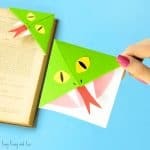 These origami bookmarks are insanely easy to make and make a wonderful classroom craft project or an gift to give to friends and family. 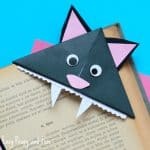 We really do love making corner bookmakrs, they are great to get the kids started with the wonderful world of origami (beginners as well) and there really are no limits on how you can decorate them. 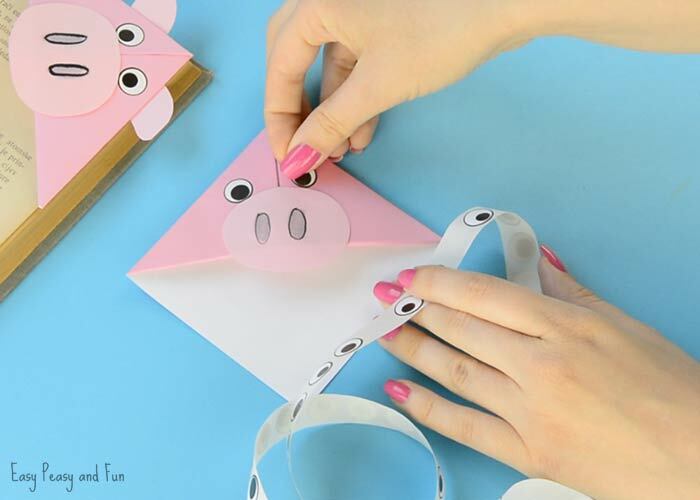 Making silly animals is our favorite (and boy do we have a collection of ideas already – just scroll down to the bottom of this tutorial to see a handful of them). 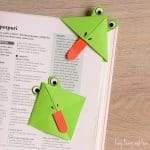 We thought it would be fun to make a few farm animal corner bookmarks, some we already have on the website and a few more ideas are jet to come. 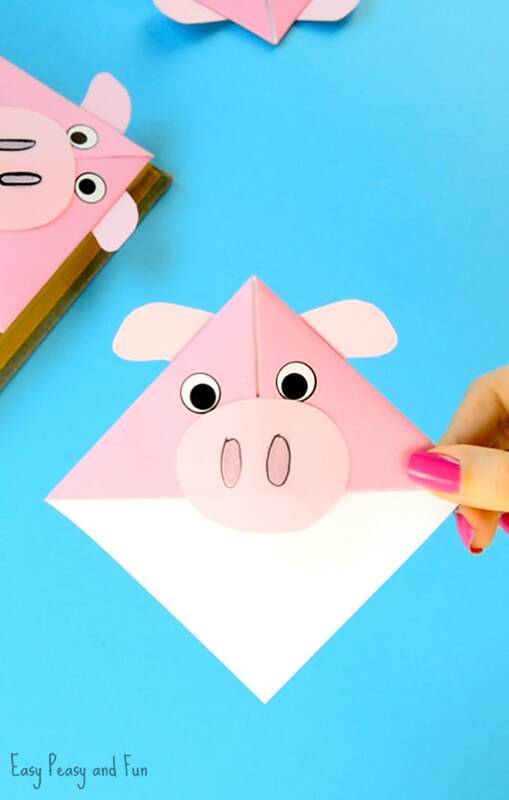 This pig corner bookmark was next on the list and I think it turned out really, really cute (total pig fan here, I do think they are gorgeous animals really). 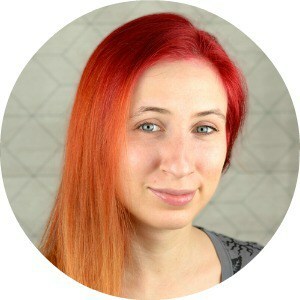 Ready to design your own? Let’s make one or a dozen! 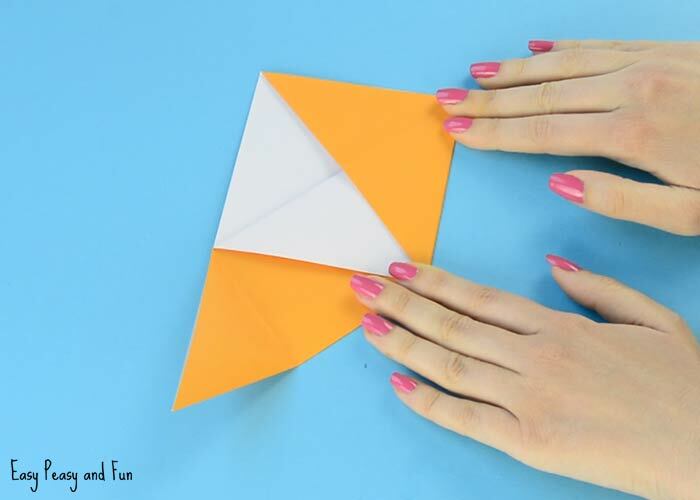 Fold the origami paper in half diagonally. 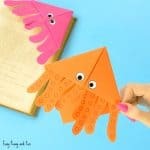 If you don’t have origami paper, plain pink print paper cut into a square will do a great job. 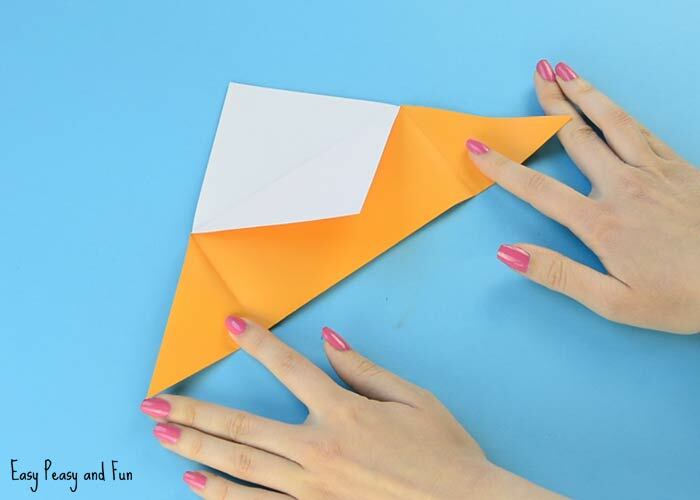 The triangle in front of you now has two layers of paper. 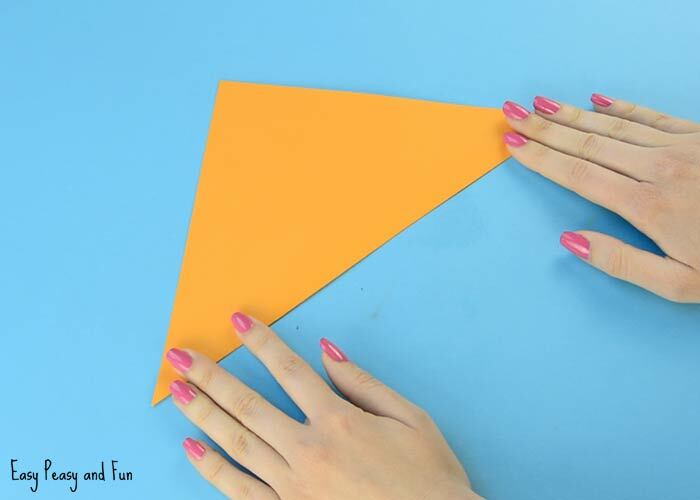 Take the top layer at the top of the triangle and fold it towards the bottom of the triangle as show on the image bellow. 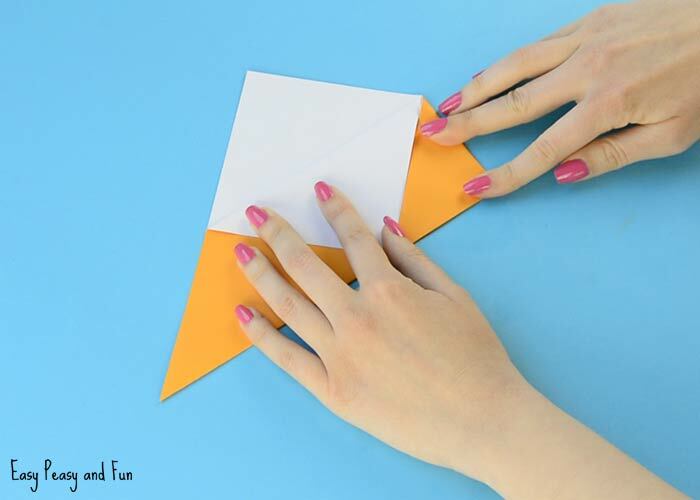 Next we have to fold the corners (left and right one) to touch the bottom cener of the triangle. 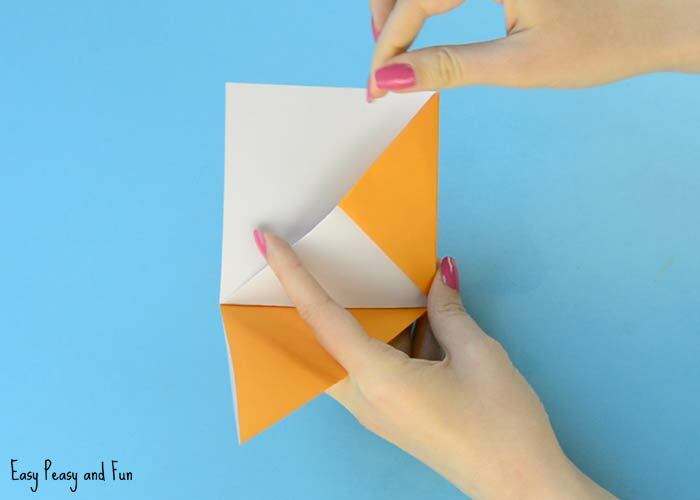 Unfold both corners. It’s all about the fold :). Now take those to corner again, this time folding them towards the top of the triangle. A square will form. 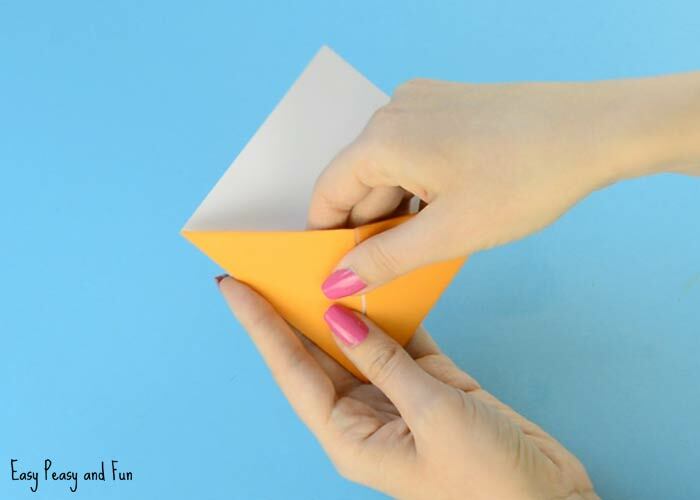 Take the same “corners” and tuck them into a pocket that has formed. 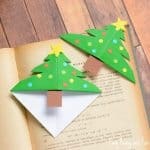 You have your basic corner bookmark design. 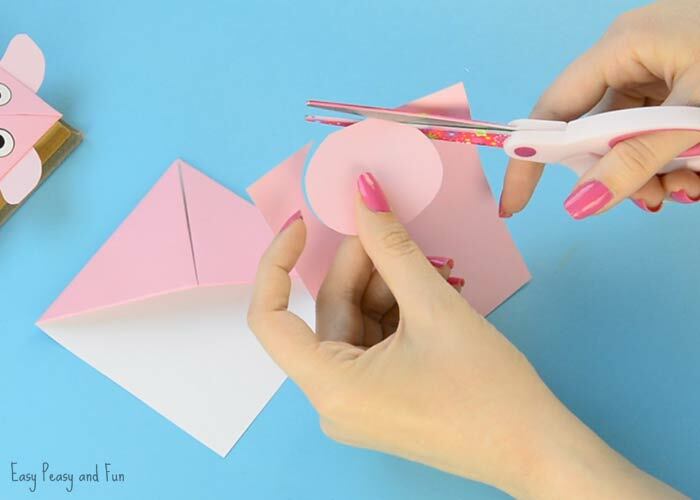 Cut an oval shape out of pink paper. 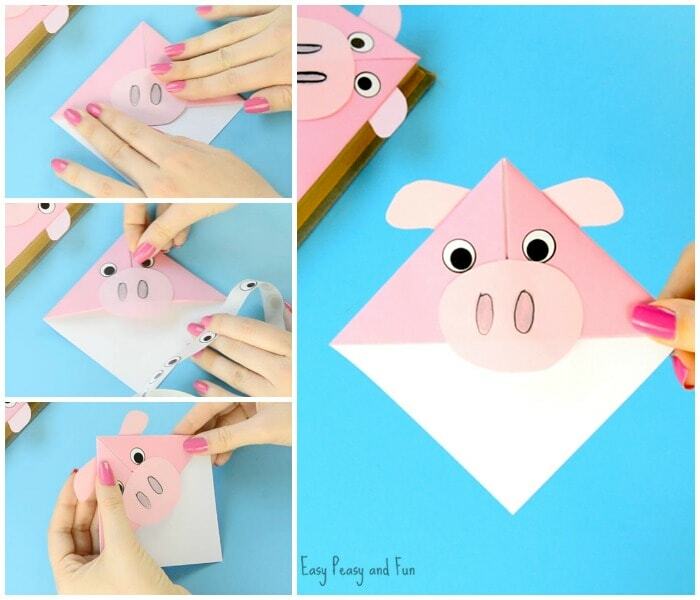 Draw two nostrils and glue the snout on the corner bookmark. Draw two eyes or use wiggle eye stickers. 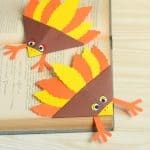 Lastly cut two ears and glue them on the back of the corner bookmark. All done! 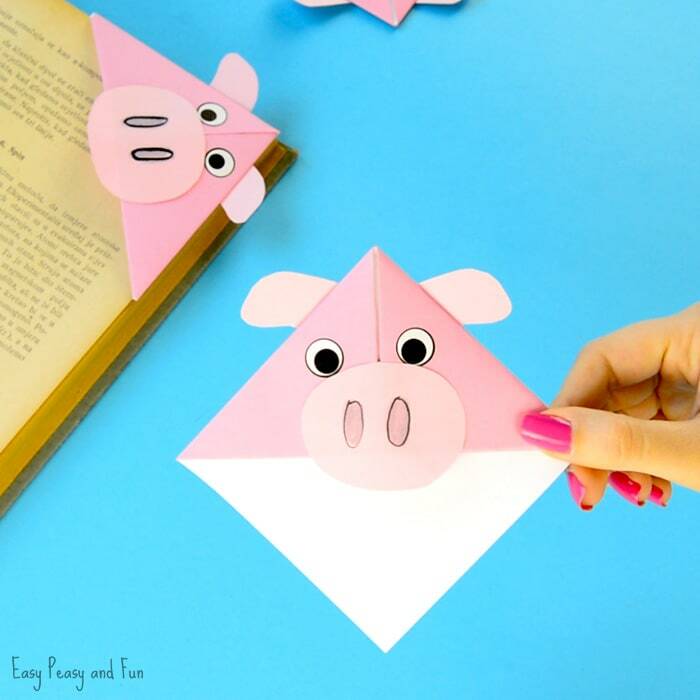 First of the many pig corner bookmarks is ready to decorate your favorite book.